I started with Feelunique, followed that with Glossybox and I finished with Birchbox. That was my beauty subscription box story... until now! Back when I was subscribing to all the above I had to make a choice. Were my beauty box subscriptions actually worth the money I was spending on them. In fairness, the products always cost more than the subscription but I found I wasted so much product, I gave the majority away to friends and family after deeming them unsuitable for me. After a while it seemed silly to keep paying out money for samples and products I simply wasn't using. Made more sense at that stage to treat myself to one or two full size products from my wish list instead. 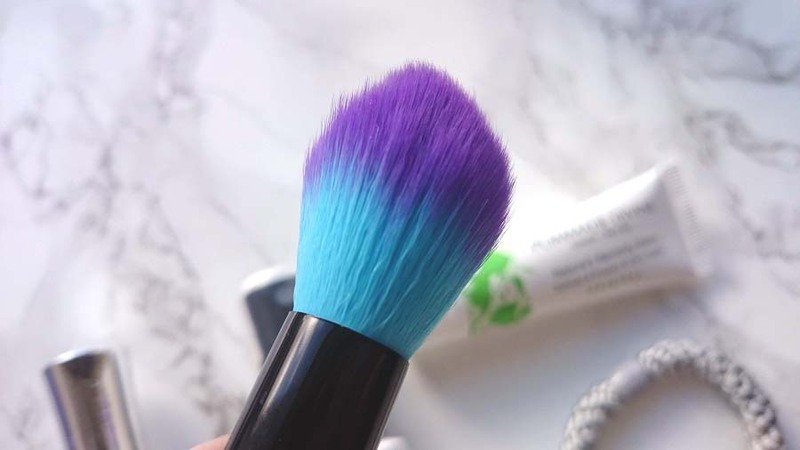 Then Birchbox teamed up with Spectrum Brushes and the game changed. And so I returned to Birchbox. I'd been toying with the idea of a return for a while, I'd missed the little box full of surprises popping through my postbox every month like a little gift to myself. 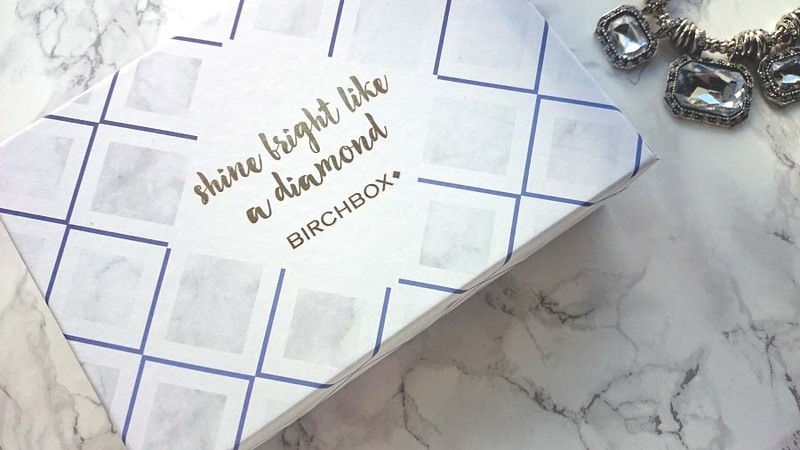 February's Birchbox had one seriously fantastic highlight so it was a welcome return. I was excited! And so I re-subscribed and the wait began... Delivery did take longer than I had anticipated but it arrived in one piece and I couldn't wait to get stuck in. The shining star? The reason for my return to Birchbox? The saving grace of the whole box? The (full size) Spectrum Collections Tapered Powder Brush! 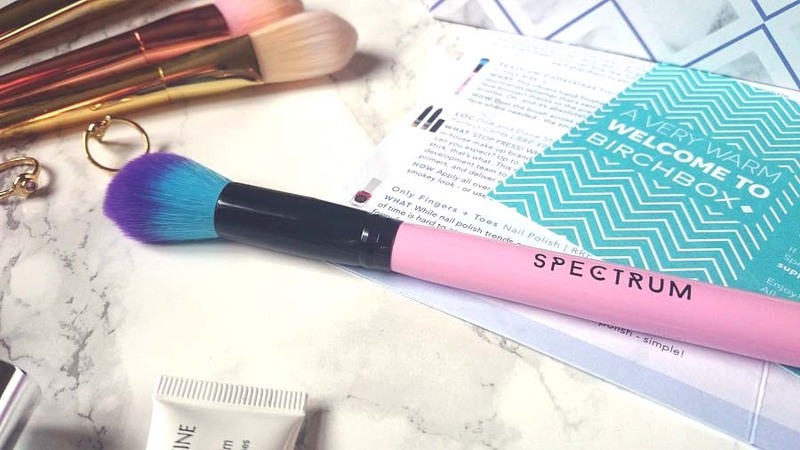 I was SO excited when I saw this popping up in unboxing videos and had been wanting to get my hands on some makeup brushes from Spectrum for a while now so really this just seemed like fate, right!? Better than that, it's fantastic to use as well. Extraordinarily soft yet firm at the same time. It's a brilliant sized powder brush for setting underneath the eyes and contouring, a real multi use brush. The only problem is now I really, really, want to add to my lonely Spectrum brush. Must. Have. More. I've decided to hang in there with Birchbox though. Bet you weren't expecting that! I find it takes a few months to adjust to beauty sub boxes so I'll be fair and let my subscription carry on for a little while longer. It's on the line though and I doubt it'll take many more pointless products (for me) to cancel. For now though I'm delighted with my new makeup brush and it was nice to get a little surprise through the post, even though it's a surprise you pay for yourself! 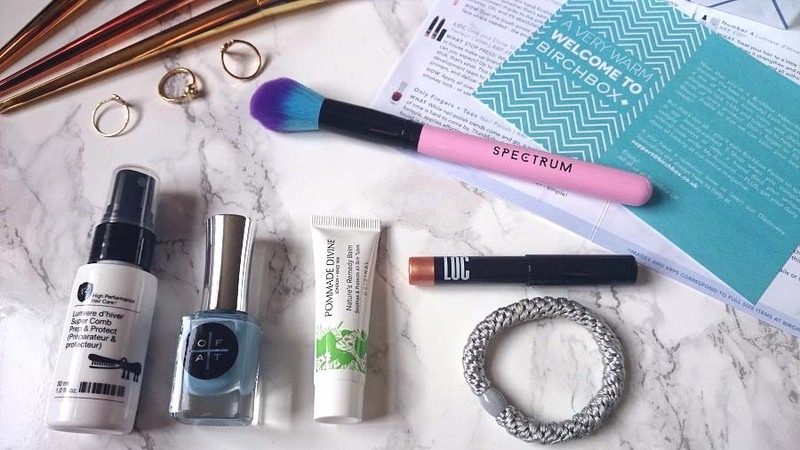 If you were considering a return to Birchbox or perhaps you've not yet tried the subscription beauty box, I'd recommend giving it a month or two and see how it goes. 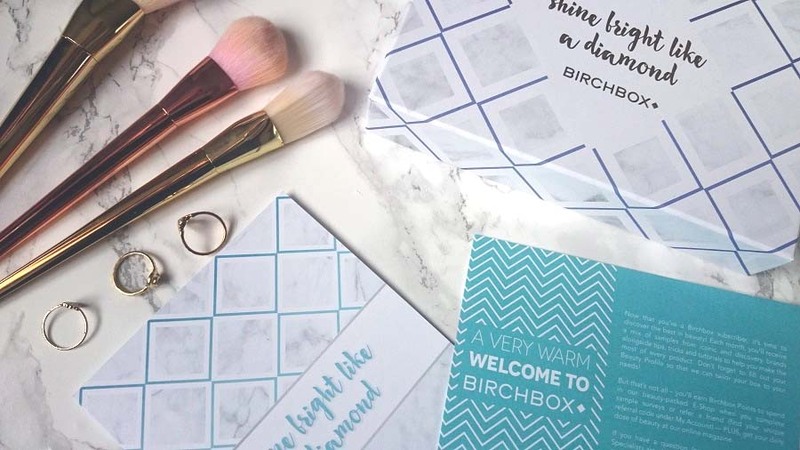 It's not hideously expensive to sub to and, luckily, I have a special code you can use, this will give you £5 to spend in the Birchbox store against any of their products (I'll pop it down at the bottom of this post). And for all my Irish readers, Birchbox now SHIP TO IRELAND! YAY! I have heard of some delays in getting the boxes to Irish subscribers but I'm putting that down to teething issues as they've just launched in Ireland this year, worth keeping in mind. 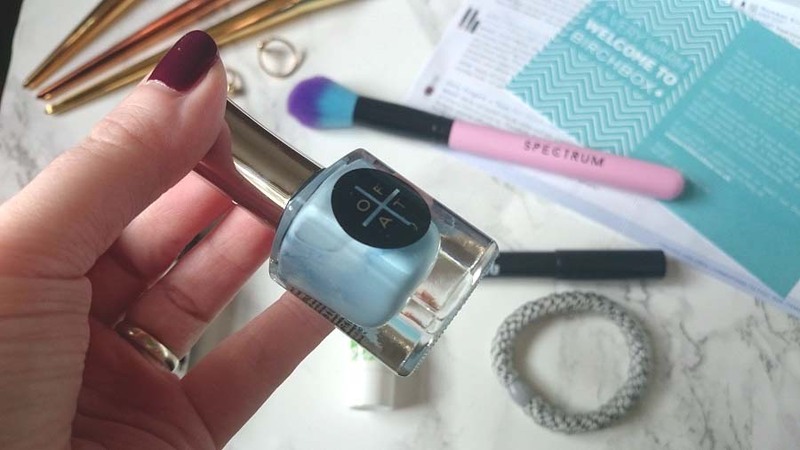 Where do you stand on beauty subscription boxes?